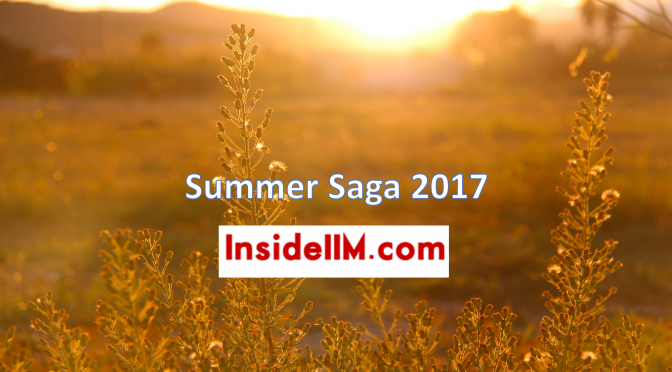 Summer Saga competition is still going on and the deadline has been extended until 30th of June 2017! If you haven’t written about your summer internship experience yet, what are you waiting for? Represent your company, your college and get rewarded for it! 2nd prize winner gets Rs 7,500! For each aforementioned category! Note : In case the 1st prize is shared there will be no second prize winner and the prize will be shared by the winners – Rs.7500 each. Plus you get e-certificates signed by the campus managers! It’s quite simple. Login to InsideIIM.com, click on ‘Write a Story’ option and write about your experiences! Okay, now you might think my internship experience is boring, it was such a bad internship, who would want to know about my experience with numbers and Excel sheet or my experiences with the shop floor! But you learn most from the bad things. It was a bad internship, mention what you learned from it. If you made a mistake, tell others so they don’t repeat it. Don’t want to mention your company name? Don’t. Share your experience. Learn. And grow. The minimum word limit is 500 words. If your story has already been shared by your campus it will automatically qualify for the competition. If you have applied for the student team again you automatically qualify for this competition as well. Don’t wait too much! It’s your chance to get noticed and win prizes! Do it NOW!